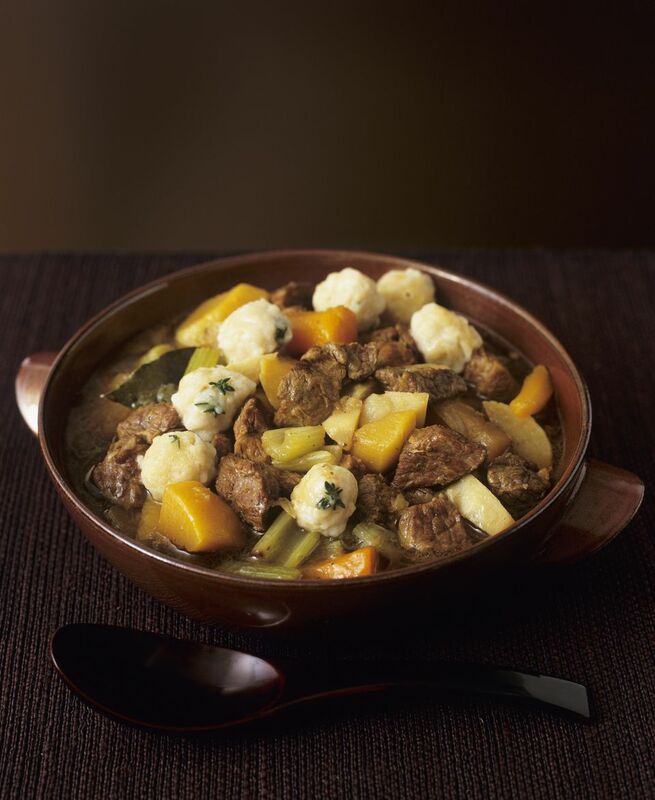 Use lamb or beef in this flavorful stew. The dumplings are made with the addition of dried herbs or fresh chopped parsley. They're very easy to make with biscuit baking mix. Lamb shoulder is a good choice for this stew. Put the vegetable oil in a large, heavy skillet and place it over medium-high heat. Coat meat in flour and then brown in oil in a skillet. Place the browned meat, onions and vegetables in large stockpot or Dutch oven. Add garlic powder. Place the bundle of herbs in middle of mixture. Cover with the beef broth and simmer for 2 hours over low heat. While stew is cooking, make dumplings (see below). Salt and pepper to taste. About 20 minutes before serving time, combine the biscuit baking mix with the milk and dried herbs or parsley. Mix until moistened. Drop onto the boiling stew and simmer gently for 10 minutes. Cover the pan and continue simmering for 10 minutes longer.